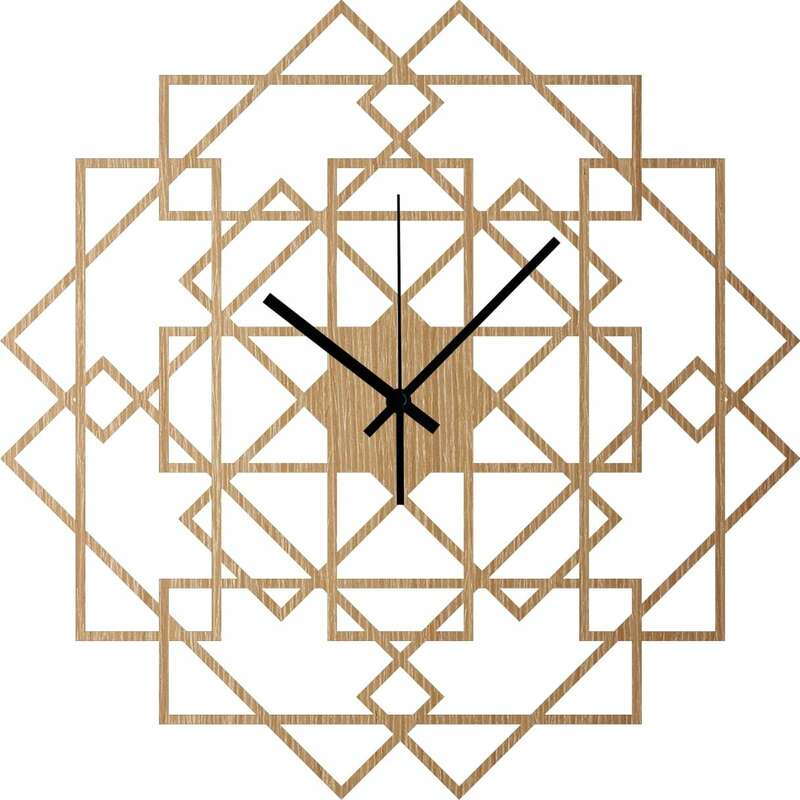 A wooden wall clock is entirely handmade by our artists Artwall and Co.
A geometric design that will perfectly complement your wall decoration. The diameter of this clock is 43 cm. Worlwide shipping for this wall clock delivered in a protective carton. 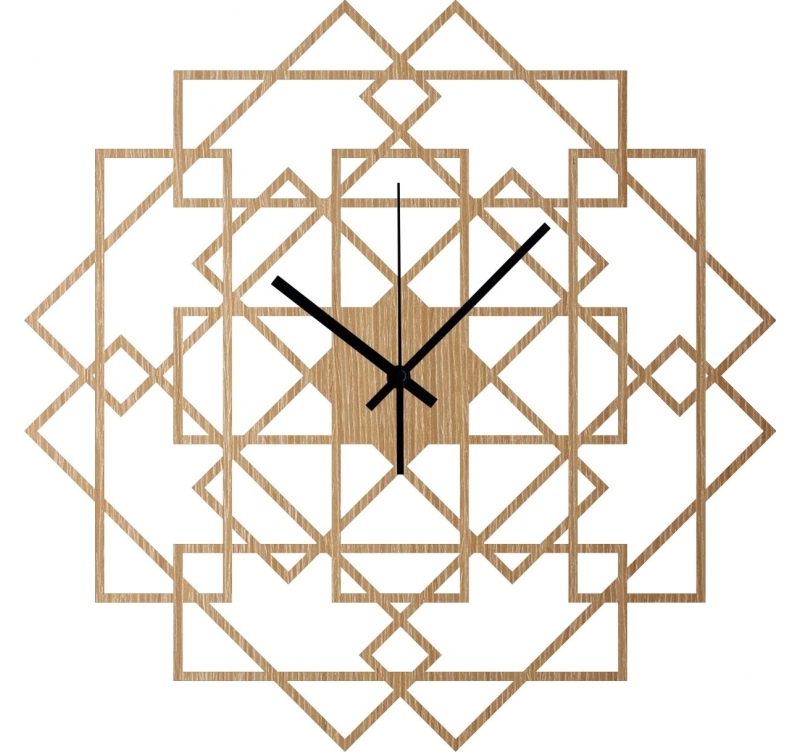 The choice of your clock is very important because it conditions the rest of your wall decoration. 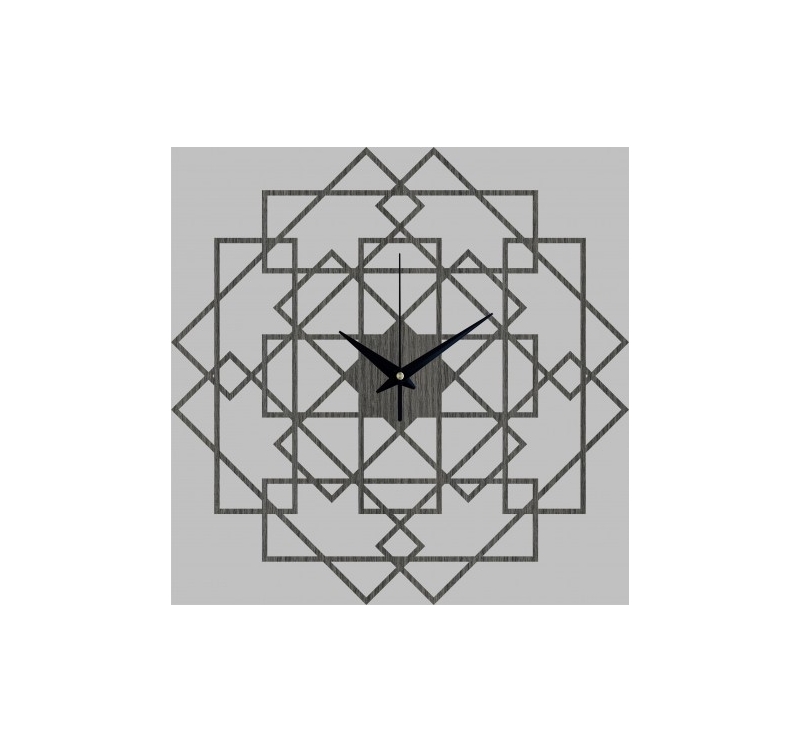 Our wooden wall clock collection offers this very square style model that will perfectly suit a modern and cozy interior. 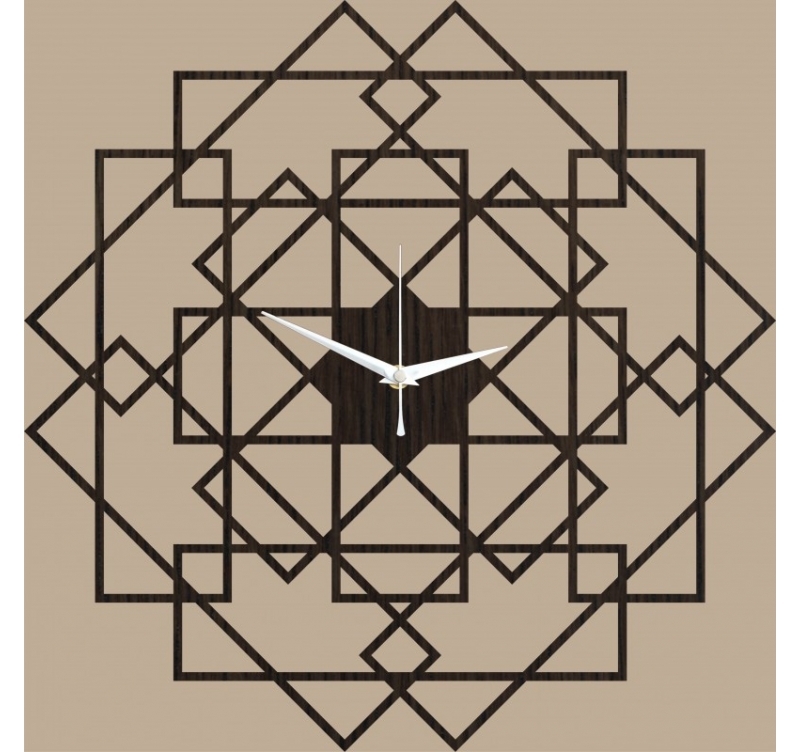 This square design highlights all-wood geometric shapes that are pierced to purify the wall clock as a whole. Installed next to a wall frame, canvas painting or metal deco, this wall clock will be the finishing touch of your decorative scheme. This wooden clock only works with an AA type battery (not included). Each clock is unique because of their construction from natural wood panel. The grain of wood is unique on each product.